I have been doing a little reflecting today, thinking on past events and how truly blessed I am. You know, I have a little bit of a unique perspective on some things, given my age. Having been deemed medically retired, twice, at a time when I should have been in the prime years of my life physically has shown me things and taught me lessons that I wouldn’t have asked to see or learn. In the weeks and months that followed the surgeries that put me into retirement I saw my life change drastically, and the lives of my family, too. The second time around I knew a little better what to expect, which actually made the transition more difficult. Slowly but surely I lost touch with folks, things that had been every day, routine tasks became hard or impossible, and my role as bread winner was changed instantly, again (this happened twice, remember). At that time in my life I had gotten caught up in the things of this world. I wasn’t doing what Christ would want me to, though I’d probably debated that if asked then. So I was stricken physically and desolate spiritually. The former was beyond my control but the latter was my choosing. I rehash all this to get to today: We are having some troubles in life that is beyond our control again. But this time is very different; today we (my wife and I) are where the Lord wants us, doing what He would have us to, and holding fast to His precious Word. I know that God will see us through this, and any other, obstacle that we encounter on this path in this life; He promises us He will. And I’m so glad that the thing I have control over, my relationship with Jesus, is right and where it should be. It’s a much less tumultuous storm when the Captian of the Sea is at the helm of the boat of life, this I can attest to. And I praise Him for being the anchor of my soul. If we had the blessings without asking for them, we should think them common things; but prayer makes the common pebbles of God’s temporal bounties more precious than diamonds; and spiritual prayer cuts the diamond, and makes it glisten more. When thou art wrestling, like Jacob with the angel, and art nearly thrown down, ask the Holy Spirit to nerve thine arm. Consider how the Holy Spirit is the chariot-wheel of prayer. Prayer may be the chariot, the desire may draw it forth, but the Spirit is the very wheel whereby it moveth. I know you are familiar with the old saying ‘when life gives you lemons, make lemonade.’ The principle behind it is pretty sound really: make the best of what you have. But have you ever made real, homemade lemonade? Now, I don’t mean Country Time; the saying is ‘lemons’ not ‘packaged mix’. It’s not what you’d call a quick and easy, no-muss, no-fuss project. 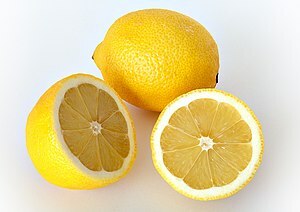 There’s a good amount of preparation that goes into it, you might end up cutting yourself when you slice the lemons up, there’s the labor squeezing out the juice, the clean up of the squeezing out of the juice and then the inevitable sugar-spills and the sticky ramifications from that to deal with. And we’ve not even gotten to getting the mix of ingredients right so it actually tastes like lemonade or the many other things that can (and usually do) go wrong! Now, if we had one of those big, nice lemon-squeezing, drink making/mixing machines, well, the process would be a lot different. You just take the lemons you’ve gotten and put them through the squeeze-mix-a-maker and in no time you’ve got perfect lemonade without any hassle. I don’t know about you, but that squeeze-mix-a-maker sounds awfully good to me, especially compared to the first scenario. Folks, we do get lemons in this life; we call them trials, troubles, afflictions, etc. And when we try to those lemons into lemonade, take care if the situations, ourselves we get that big old mess. But praise God we do have a squeeze-mix-a-maker names Jesus. All we need to do is bring Him those lemons, turn them over completely in faith to Him and let Him make the lemonade. I know that plan is so much better, with so much better results than any thing I could make, well, I can’t even express it in words the difference. (28) Come unto me, all ye that labour and are heavy laden, and I will give you rest. (30) For my yoke is easy, and my burden is light. I am so thankful that I know You are with me at all times and that Your Hoy Spirit will guide me through all of the storms I will face in this life. Though we endure trials and tribulations on this earth, it is such a joy and deep comfort to know there is a reason behind it all. No, we’ll not understand them all, maybe not until we are at the Master’s feet and able to hear it from His sweet and holy lips. But someday we will know. In the meantime I take comfort in verses like Rom. 8:28. And when the times come that it seems there’s not much to help me here to get through I take so much comfort in being able to call out to God, any time, any place and know He is listening and cares. Knowing that He is pained at my troubles is also a comfort, for I am made to believe that when one of His children suffers He feels their pain, too. But more than all these things, I can take comfort and know that some day after while, I’ll be with Him. In that wonderful place there’ll be no more need for prayer, nor for faith, nor room for hurt of any kind. All things will be new again, as they were meant to be: perfect. And we’ll see, talk to and actually be in His physical presence. Oh, what pure joy and comfort that knowledge brings to me, no matter what storms I may be facing.